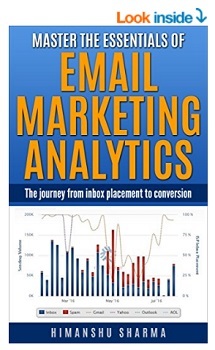 Email marketing is the most powerful marketing channel and the one which delivers the best ROI. Just like me, many businesses understand the benefits of email marketing and use newsletters to promote their products and generate sales. But they are still missing out big time. Because majority of them still do not capitalize on every marketing opportunity available to them via notification emails. There is a whole new world of notification emails, which is heavily under utilised and which can be used to engage / re-engage with customers on different levels. Transactional emails tend to have very high open rate. Because your customers can not afford to miss out on important piece of information, like whether their order has been confirmed, shipped or when their ordered item will be delivered. Because of very high open rate, transactional emails are excellent tools for running cross sell and upsell promotions. “hey Himanshu, thank you for your order. Here is our plain boring receipt for you. We have got nothing else to sell to you. If you are still sending out such order confirmations, you need to stop and think about the marketing opportunities you can leverage. 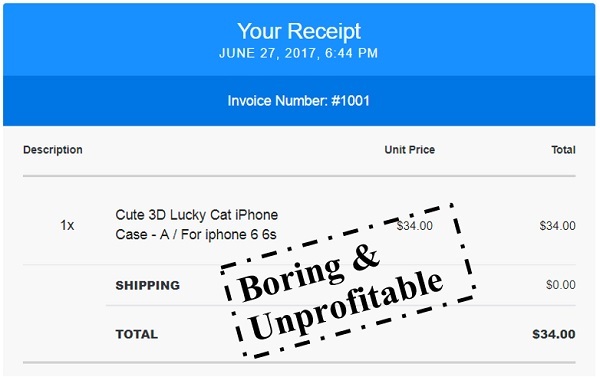 Your order confirmation emails don’t have to be boring and unprofitable. to increase your customers lifetime value (LTV). So if a customer has purchased new phone, you can promote phone case covers. If a customer has purchased a trouser you can promote belts, shirts etc. It is important that you always provide the expected information first in your transactional/notification emails and do promotions in the background i.e. later. What that means, if a customer open an order confirmation email, he should first see the information related to his order and only after that, your cross sell/ upsell offer. Similarly, if a customer open a shipping confirmation email, he should first see the information related to shipping and only after that, your cross sell/ upsell offer. Otherwise he will get confused and may get annoyed. If you blatantly use transactional emails as marketing emails, your offers could lose steam and you risk damaging your brand credibility. You need to be subtle about how you use your transactional emails as a marketing tool. Shipping confirmation emails are automatically sent to customers when their order is fulfilled. In the Shipping confirmation emails, you can add a special discount code which a customer can use, if he makes another purchase within 24 hours or whatever time window that works best for you. Also recommend products which complement the product, your customer has already ordered. You can basically repeat the same promotion you used in the order confirmation email. If you are using email marketing funnel then you can provide a steeper discount or another offer, if the customer did not click on your offer link in the order confirmation email. Shipment out for delivery emails are automatically sent to customers after the status of their fulfillment changes to out for delivery. In the Shipment out for delivery emails, you can again repeat your offer or provide a new offer, if a customer did not click on the offer link in the shipping confirmation email. There is no harm in repeating the same offer over and over again. Often customers do not convert on your first marketing attempt and they need reminders to come back to your website and make a purchase. Shipment delivered emails are automatically sent to customers after the status of their fulfillment changes to delivered. In the Shipment delivered emails, you can again repeat your offer or provide a new offer, if a customer did not click on the offer link in any of the previous notification emails. Order cancelled emails are automatically sent to customers if their order is cancelled. In the Order cancelled emails, you can send a special discount code and recommend a product which can be a better substitute of the product the customer ordered and then cancelled. Order refund emails are automatically sent to customers if their order is refunded. In the Order refund emails, you can add a special discount code and recommend a product which can be a good alternative to the product for which the customer asked for refund or provide some other offer which works for you. The important thing here is that you try to win back your customer. 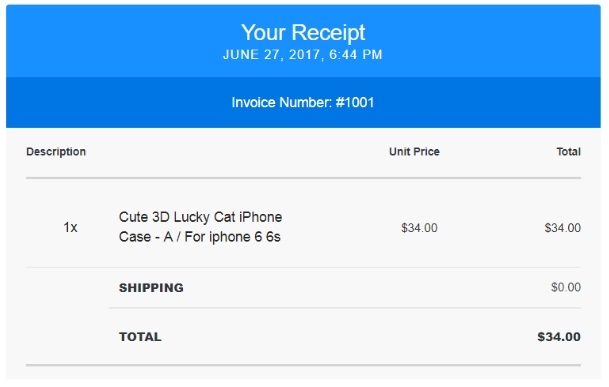 Abandoned checkout emails are automatically sent to customers, if they leave checkout before they buy the items in their shipping cart. These are one of the most important notification emails which you must always use, as they can greatly help you in recovering lost sales aka ‘recovered revenue. 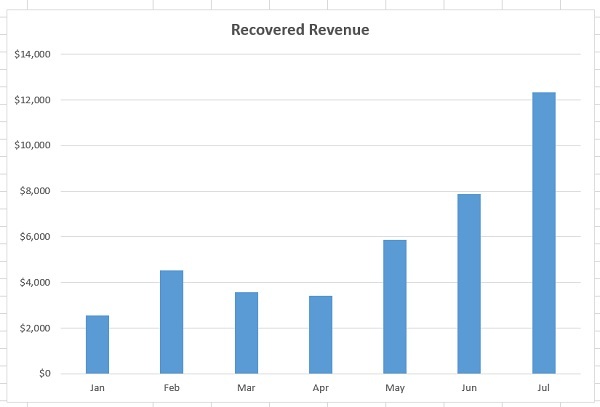 So how much revenue you recovered in the last one month? This is the kind of reporting that will set you apart from the competition as analyst/marketer. However before you can take advantage of abandoned checkout emails, it is important that you collect the email address of your prospect as soon as possible, in your sales funnel. 70-75% of your potential clients will abandon the checkout today. So you need to be mentally prepared to deal with checkout abandonments. Send at least 3 Abandoned checkout emails which include special offer and the products customers abandoned on the website. So that they can come back and complete the purchase. Send the first abandoned checkout email after 1 hour of the cart abandonment. If the customer did not complete the purchase then send the second abandoned checkout email after 1 day of the cart abandonment. If the customer still did not complete the purchase then send the third abandoned checkout email after 3 days of the cart abandonment. Use and test different subject lines, ad copy and offers for each abandoned checkout email. Don’t send the same email over and over again. Sometimes different subject lines do the trick and result in email open and sales. The Customer account invite emails are automatically sent to customers with account activation instructions. In the Customer account invite emails, you can provide a special discount for next purchase and recommend products which a customer is likely to buy. These could be the products which the customer saw/purchased on the website or added them to the shopping cart in the past or abandoned their checkout with. Customer account welcome emails are automatically sent to customers when they complete their account activation. In the Customer account welcome emails, you can provide a special discount for next purchase and recommend products which a customer is likely to purchase. The Customer account password reset emails are automatically sent to customers when they ask/request to reset their accounts password. In the Customer account password reset emails, you can provide a special discount for next purchase and recommend products which a customer is likely to buy. Yes same old marketing tactic. The Support Confirmation emails are automatically sent to customers when they email/phone your support. You know, “We have received your request….” type emails. These types of emails provide endless marketing opportunities. The more people contact your support, the more opportunity you get to retarget them with special offers and promote products which they are likely to purchase. You can do all of your cross sell and upsell via such emails. But again it is important to remember, how to do such promotion. All of the promotion need to be subtle, done in the background and done in such a way that it does not give the impression that you are more interested in selling products than providing customer support. What that means, add your usual ‘we have received your request…blah blah.. ‘ content first and only after that do your promotion. ‘Thank you for contacting our support. We have received your request and we will get back to you ASAP. eople are buying this product like crazy and we don’t want you to miss out. The Contact support emails are the one customers receive from your support staff. Just like support Confirmation emails, these types of emails provide endless marketing opportunities. In the Contact support email, you can provide special discount for the next purchase and promote new products which a customer is likely to buy in the footer. Make sure there is clear distinction between the response received from your customer support staff and the promotion material. Do this in a wrong way and you can/will upset your customer. After 3 days of Shipment delivered email, send at least 3 emails asking for reviews esp. photo reviews. Provide a discount for leaving a product review on your site and bigger discount for leaving a photo review. 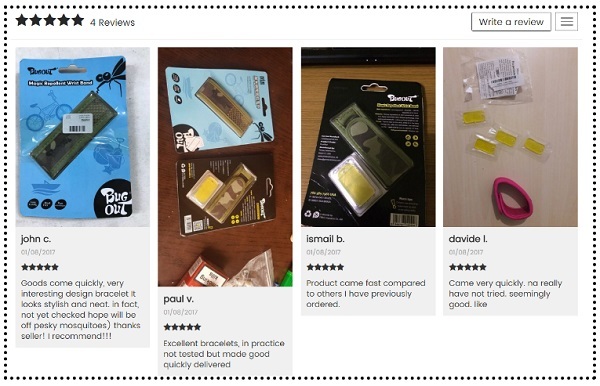 Customers trust photo reviews much more than text reviews. Go to Amazon.com and check the reviews which people found most helpful. Chances are they are the one with user generated photos. You can see photo reviews and sometimes even video reviews in action on Amazon and they get lot of thumbs up as they appear more credible and trustworthy. Do not worry about the quality of the photos sent by your customers. Most people take photos using their mobile phones. So they won’t be great but they can literally skyrocket your brand/product credibility overnight. Send the first Photo review request email after 3 days of the shipment delivered email. 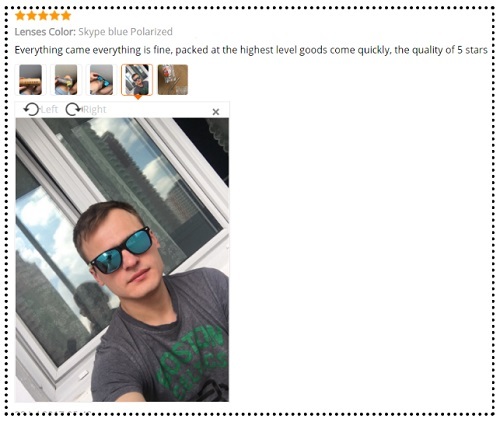 Send the second Photo review request email after 5 days of the shipment delivered email, if the customer has not left the review. Send the third Photo review request email after 7 days of the shipment delivered email if the customer has still not left the review. Use and test different subject lines and offers for each review request email. In the world full of low price items, better products and better deal, it is very hard to compete. By building a strong brand. The brand people can trust, and reviews esp. photo and video reviews provide the edge you need to stand out from the competition. So people always think of you first and do not think twice before making a purchase and hopefully do little or no comparison shopping. Treat photo review as a second transaction placed by your customer. You need this transaction and you need it really really bad. Do not stop until you get your photo review. It is do or die situation here. Ok not that bad but you get my point. The review Thank you emails are automatically sent to customers when they leave a review on your website. In the Review Thank you emails, you can provide special discount for the next purchase and promote new products which a customer is likely to buy. Yes i know, I have given the same marketing tip several times by now. But it is important to repeat, to make this article really long. The Live Chat transcription emails are automatically sent to customers after they have done live chat on your website. It includes the full chat transcript. Only handful of businesses I know, even send out such emails let alone monetise them. But just like any support email, live chat transcription emails provide endless marketing opportunities. Every time a customer use live chat support, you can retarget them with a special offer. Start the live chat transacription email with ‘thank you for contacting our live support’ and then add your special offer and promotion. Then at the end of the Live Chat transcription email, you can add the full chat transcript. Most people don’t read chat transcript and if the chat transcript is very long they won’t even bother scrolling down the email to see what else is there. So if you add the full chat transcript first and then add your promotion/offer, like you do for all other notification emails, chances are, no one will ever see your promotion / offer. The Newsletter Subscription confirmation emails are sent automatically to customers after they have subscribed to your newsletter. 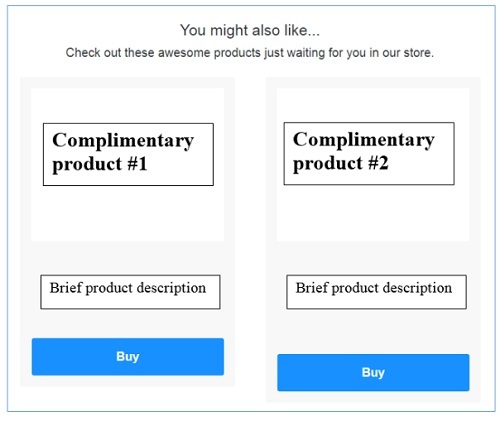 In the Newsletter Subscription confirmation emails, you can promote new products which a customer is likely to buy along with some special discount. The point to remember here is, don’t keep the email dull, boring and unprofitable. The Newsletter unsubscribe emails are automatically sent to customer after they have unsubscribed your newsletter. This is the last email, you can legitimately send to your departing subscriber / customer. So make best use of it. In the Newsletter unsubscribe emails, you should provide a very special, hard to dismiss offer to win back your departing subscriber / customer. Instead of just feeling sorry that your customer is leaving (“sorry to see you go”), provide options. Give the departing subscriber the option to adjust email frequency or the type of email he want to receive. There is no harm in trying that. Sometimes customers want to receive your newsletters but they don’t want to be bombarded with lot of emails. But since they don’t know how to reduce email frequency or select the type of product offers they want to receive they just unsubscribe from your marketing newsletter. Note: On a side note, you can avoid unsubscribes, if you segment your subscribers and send them super targeted emails, the one which are relevant to them. The number 1 rule of email marketing is “always be emailing”. If you stop emailing your customers they will legitimately forget, who you are, in couple of weeks and mark your emails as ‘spam’. The Customers Re-Engagement emails are automatically sent to new and repeated customers who haven’t purchased from your store in a specific timeframe. In the Customers Re-Engagement emails, you can provide special discount for the next purchase and promote new/same products which a customer is likely to buy. For example if you know when a customer is likely to re-purchase your product, you can send him a reminder to come back to your site and make the next purchase. Send series of customers re-engagement emails with discounts and special offers. Always remain on your customers’ radar, in some form or the other. Otherwise they will forget, who you are, pretty quick. I see so many notification emails which don’t even address recipients by their first name. That’s a strict no no. If you know the first name of your subscribers/customers then always address them by their first name in every email you send out. Avoid addressing customers by last name, unless you are a government or big financial organization (like bank). Add some emoticons, emojis, picture of you or your staff in your emails. Write in an informal and friendly way. Make the best use of all the different email notifications available to you. Every interaction with a customer is an opportunity for upsell or cross sell. Notifications emails provide 10x more marketing opportunities than traditional marketing newsletters. They tend to have very high open rate and very low unsubscribe rate. So take advantage of them and laugh all the way to the bank.